For as long as I can remember, I have enjoyed the ritual of Afternoon Tea, particularly when traveling. From the chocolate buffet at the Sukhothai in Bangkok to the refreshing sorbets as part of the tea ritual at the Strand Hotel in Yangon, each tea brings something new and helps me relax and recharge for jumping back into my destination. Even now, traveling with a toddler, this hasn't changed. 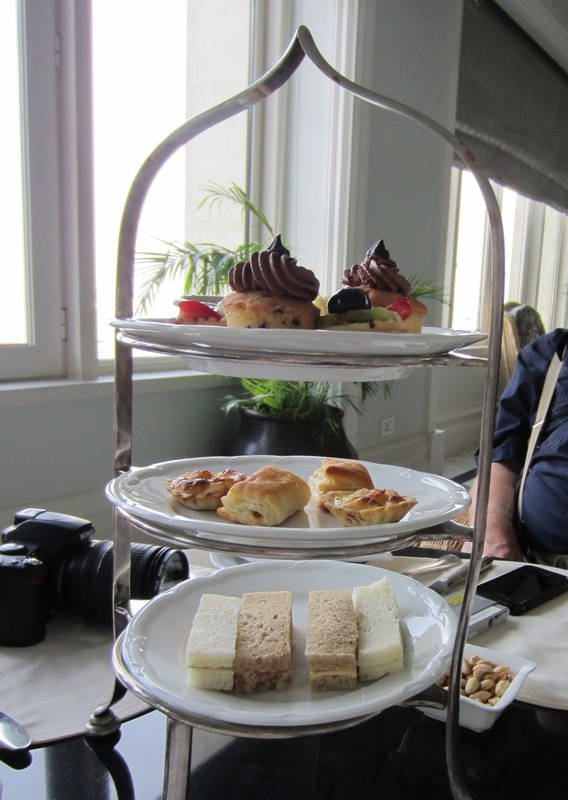 Last month, traveling with B and my parents, we treated ourselves to Afternoon Tea at the Taj Mahal Palace Hotel in Mumbai - a wonderful place to relax and unwind after the heat and sensory overload we encountered exploring this amazing city. Sitting in the elegant and serene surroundings, I have to remind myself this hotel was the scene of quite something else in November 2008, when a series of terror attacks in Mumbai shook the city and resulted in the deaths of 172 - including 32 people at the Taj Hotel. The hotel has since been restored and the Sea Lounge is the perfect place to relax and munch on a scone. The lounge is elegant but not stuffy and B is warmly welcomed. He loves choosing sweets (always the chocolate first!) 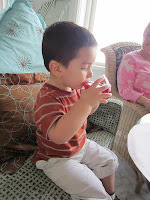 off the three-tiered tray and sipping on his 'special' (caffeine-free) fruity, iced tea. And the cozy couch and cushions make for the perfect place to have a cat nap while Mommy, Grandma and Grandpa finish their tea. While the afternoon winds down, we have the perfect view of the Gateway to India and the boats along the waterfront. The ideal way to end our day in Mumbai!